Build decks and post frame buildings faster and easier on a solid footing. 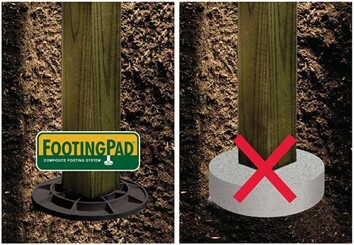 The FootingPad system’s design is lightweight, evenly distributes deck post loads, and saves hours of back-breaking work. 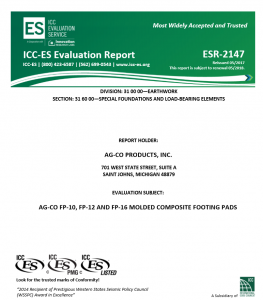 FootingPads have been designed and engineered to replace concrete footings of equal diameter. They have been thoroughly tested by NTA Testing Laboratories and the ICC-ES Evaluation Services. 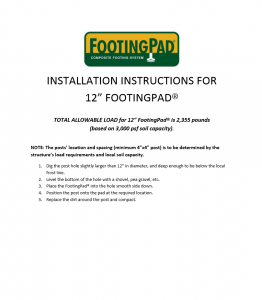 10″ & 12″ FootingPads will support a 4″ × 4″ or larger post. 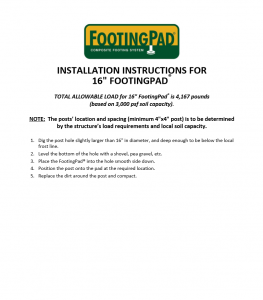 16″ FootingPads will support a 6″ × 6″ or larger post. Allowable loads are controlled by the type of supporting soil.